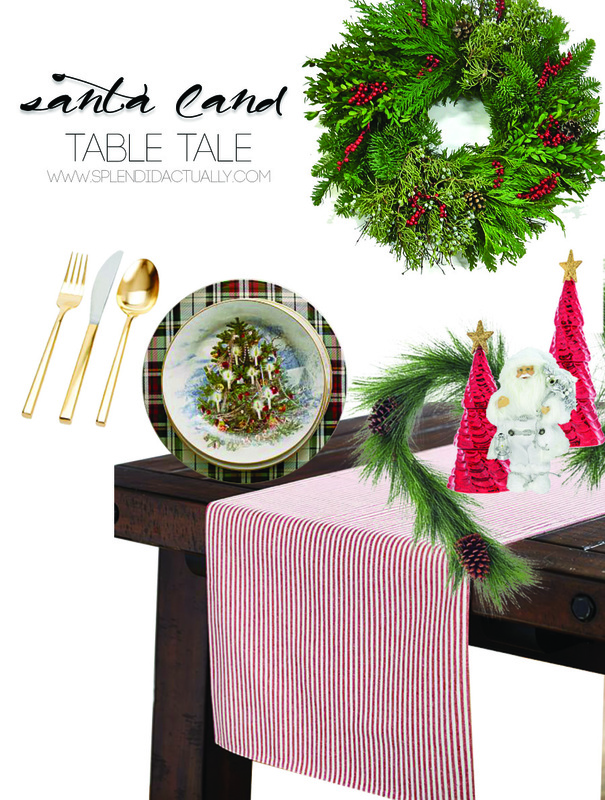 Christmas is right around the corner and I've been thinking about how I'll doll up my dining table. This year, I want to go pretty classic and really incorporate red accents. For a bit of whimsical, various sized red trees will create a little forest, paired with some sprigs of greenery. My Santa is all white so he stands out among the trees. These plates from Pottery Barn are so classic looking so they would make the perfect addition.